QLD Office Location: Suite 3 / 12 Tolmer Street Springwood 4127 Queensland, Australia. Login to your account to access engineering documents, construction guides, marketing material and access training videos plus view available merchandise. Our web driven software, ShedTech™ allows instant design, quotation and bill of materials for any steel building. User friendly functionality is available with a minimum of prerequisite operator skills. Shed Alliance is your national quality supplier of sheds to private, Industrial, commercial and Rural clients covering all areas of Australia. Why Become a Shed Alliance Distributor? If you need a cost-effective solution to expand your outdoor entertainment area, or protect your valuable car, boat, trailer, or recreational vehicle, then look no further than a sturdy steel carport from Shed Alliance. Shed Alliance offers unparalleled flexibility when choosing your carport’s size and design. You can select from a huge range of standard kits or customise each element to your unique requirements. Styles include gable, hip roof, Dutch gable and Skillion roof carports and you can choose from over 20 BlueScope COLORBOND® shades or ZINCALUME® cladding to complement your property’s look and feel. 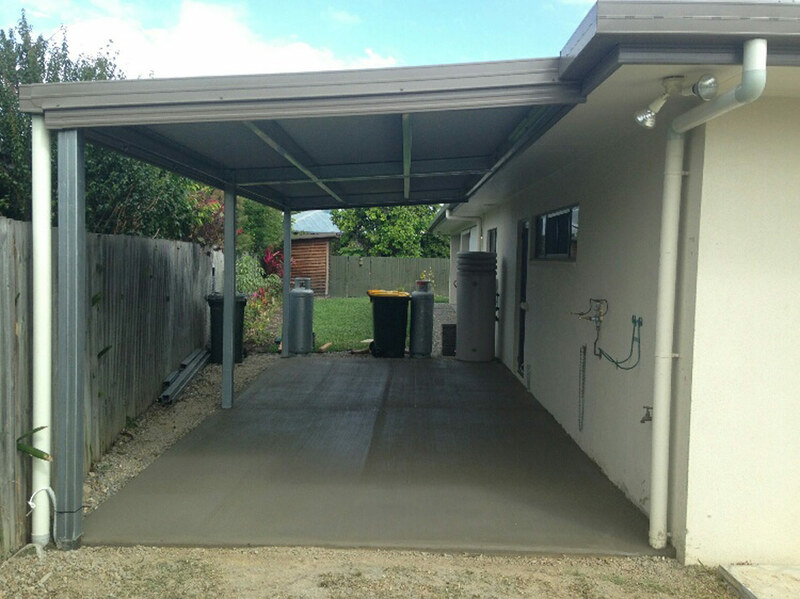 Erect a freestanding carport or attach one to an existing structure. Build onto a slab or use columns into cement footings. Need extra height or width for a large caravan or yacht? No problem. Our ShedTech design software makes sizing a breeze. Our easy to assemble kits are made in any size with a standard range of up to 9m clear span with roof pitches of 0, 10, 15, 20 and 25 degrees, and overhangs or eaves up to 1.2m. Shed Alliance is ShedSafe accredited and guarantees all our carports comply with the latest Building Codes and all relevant design and engineering standards. Galvanised BlueScope steel C-sections and RHS columns, teamed with hard wearing COLORBOND® for roofing and raingoods, means your carport will not only look great, but will provide years of maintenance-free cover, and add value to your property. 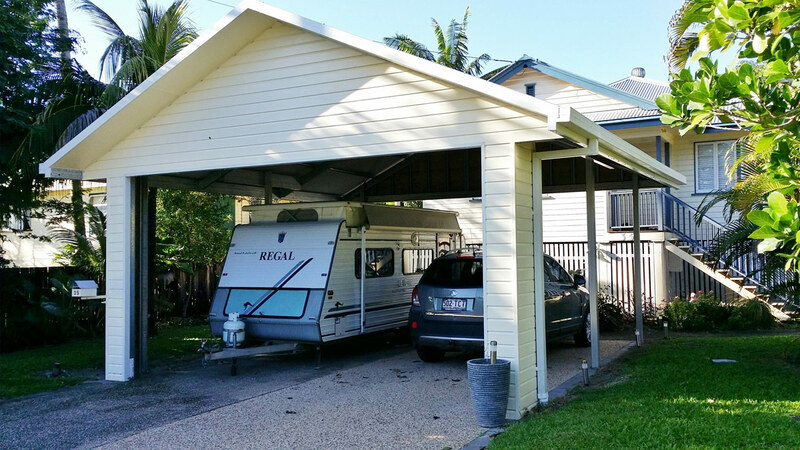 All of our carports come with a 15 year BlueScope COLORBOND® manufacturers warranty. Our DIY kits are easy to erect, but if you don’t have the tools or the time, Shed Alliance can assist with the entire design, supply and building process. Shed Alliance has over 100+ locations across Australia and offers FREE or heavily discounted delivery throughout every state and territory. If you want to know more about the best value carports in Australia, call 1300 503 888 now to speak to one of our team for expert advice and a customised quote. If you already know what you want, submit your requirements to this Online Quote Request Form, and we’ll get back to you within 24 hours with a price. When you buy a shed with Shed Alliance Brisbane you can choose any of the following Colorbond colours to tailor your shed. To view the latest colour selection, please visit the Colorbond website. This is the famous BlueScope Lysaght corrugated profile, equally at home with traditional and contemporary design. It is long, wide, strong, lightweight and economical in profile which can be quickly and easily aligned. Add up these features and you have a steel roof or wall cladding that simply offers outstanding value. Trimdek is a subtle square-fluted steel cladding, available in long lengths, so on most jobs you can have one sheet from ridge to gutter without end laps. Multiclad is a low-rib wall sheet which provides a cost effective solution to covering the walls of your shed. Skylights are an excellent way to allow natural light to enter your shed or carport. Skyights are available in either a clear or opal coloured sheet. You can additional internal walls to segment your shed for different purposes. Doors and windows can even be added to these walls. We have an extensive range of roller-doors in all sizes for both domestic and industrial purposes. All Colorbond colours are available. You can add multiple PA doors to your shed. All doors are usually 2040mm x 820mm and can come with locksets if needed. There is a range of fixed sized windows available for your shed in all Colorbond colours. If needed you can add security screens or fly screens to your windows. If your shed is also your office, you may wish to add a glass sliding door. Glass doors are available in a fixed amount of sizes in all Colorbond colours. Security screens can also be added. There is a range of ventilation options available to add to your shed. Whether you need a way to cool the workshop in summer or you are working with chemicals, a solution is available. If you are going to be working in your shed a lot, you may wish to insulate the roof from the heat of summer, or cold of winter. A vermin flashing is an excellent way to stop mice, rats or snakes getting into your shed between the edge of the slab and the wall sheets. You can add a motor and remote to your roller-doors so they open and close automatically. No one wants to get out of the car to open the door in the middle of a storm. A mezzanine floor can be added for additional storage room in your shed. A great place to store that tent that never gets used. You can add an awning or lean-to to the side of your shed to park the car. Awnings can also be enclosed with sheeting if needed. View the latest shed sales news, shed speciasl and shed offers by following Shed Alliance on your favourite social media platform. Address: Suite 3 / 12 Tolmer Street Springwood 4127 Queensland, Australia. Copyright © 2018 Shed Alliance - Sheds - Barns - Garages - Carports - Modular Homes - Patios - National Group. All Rights Reserved.